Dr. Carol Rosin is an award-winning educator, child psychologist, futurist, international speaker, author, military strategist, and space and missile defense consultant. She received her Bachelor of Science from the University of Delaware and an Honorary Doctorate Degree in Humanities from Archbishop Soloman Gbadebo of Nigeria. She is Founder and President of the Institute for Cooperation in Space (ICIS), with headquarters in Vancouver, BC and Vilcabamba, Ecuador, where she resides. ICIS advocates for the peaceful, cooperative, non-military development of space, new energy, and related technologies for the betterment of humanity. Carol introduced the concept of a Space Development Initiative to replace the Strategic Defense Initiative. Carol was the first woman corporate manager of an aerospace company (Fairchild Industries). She was spokesperson for and close associate of the late Dr. Wernher von Braun, the "Father of Rocketry," and has spoken widely about how to apply space technologies, new energy technologies, and information services to solve urgent global environmental, energy security, and economic problems. She has been a consultant to space and defense corporations and organizations, including TRW, General Electric, IBM, and the National Space Institute. Her consultations have covered a wide range of topics, including the MX missile, space shuttle, weather satellites, current and future manufacturing technologies, and business systems. She is a renowned and dynamic speaker, and passionately educates about the Space Preservation Treaty and companion Space Preservation Act. She serves on the boards of numerous multi-national organizations, and is widely respected in the international science and space policy community. Carol owns and operates the Madre Tierra Hotel and Conference Center in Vilcabamba, Ecuador, a site for think-tank gatherings to address complex global issues. Carol appeared as a Disclosure Project witness where she revealed secret efforts by the military-industrial complex to fabricate an extraterrestrial threat to maintain present levels of military spending. 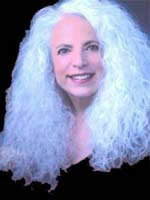 Carol Rosin is a member of the Advisory Board of the Exopolitics Institute.